Although winter in Australia isn’t as harsh as winter in the northern hemisphere, it’s still important to prepare your boat for winter. 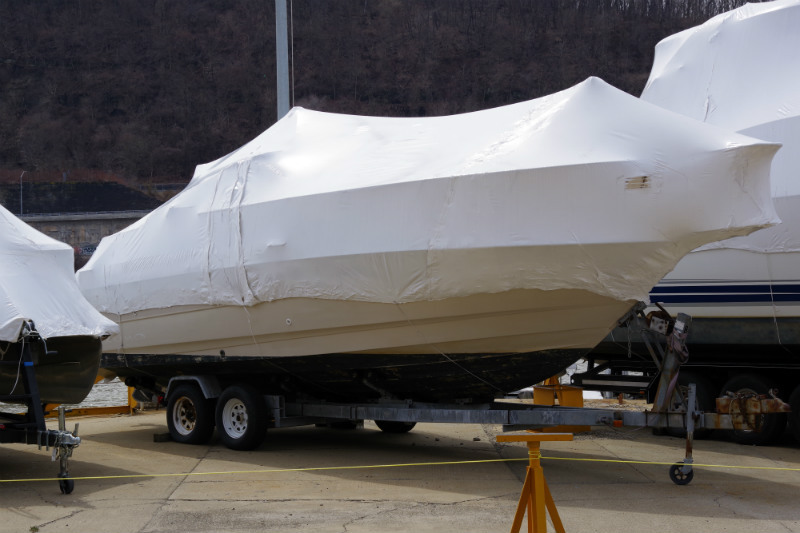 Leaving your boat exposed to the elements during this time of the year can make it prone to damage, so it’s a good idea to start looking into boat storage before the really cold weather arrives. Don’t forget to check the fluids on your boat prior to storage. Start with the coolant. You may want to drain it and flush the system with water. Then, fill your boat with fresh antifreeze to help prevent low temperatures from damaging your boat’s system. Change the oil, as well, since water or acids that have gotten into the oil can potentially cause engine corrosion. Without starting the engine, get it to turn over and then spray fogging oil into the carburettor. For best results, be sure to spray through the spark plug holes. This will help ensure that all of the vital moving parts of the engine, which can be expensive to repair, will stay in good condition throughout winter. Before placing your boat into boat storage it is recommended to loosen or completely remove the drive belts. Drive belts can crack under stress if your boat is kept in storage for a significant amount of time. Give your boat a thorough check up before putting it in storage. Be sure to inspect it carefully from bow to stern and look for signs of worn cables, broken insulation, visible corrosion, and other potential problems. If you see a problem, be sure to address it immediately. Catching these small problems early on will prevent the cold temperatures from making them worse and costing you a lot of money down the track. If you don’t want to deal with mould and mildew when you take your vessel out of winter boat storage in spring, make sure to remove anything that can attract and hold moisture. This includes towels, rags, life vests, and seat cushions. You might also want to remove electronic devices such as radios, scanners and navigation devices. Winter is nearly upon us, so now is the time to start preparing your boat for winter. If you are looking for boat storage in Huskisson or Nowra, contact Out Of Site Storage. Our secure facilities are perfect for storing your boat in the colder months or if you aren’t planning on using your boat for an extended period. View our storage prices or find out more about our residential storage solutions.